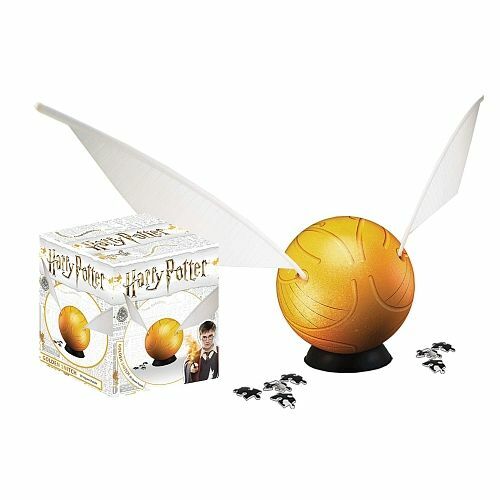 Harry Potter- Snitch - Grow Children's Boutique Ltd.
4D Cityscape now introduces the Official 3D Puzzle of the Harry Potter Golden Snitch! This puzzle will guide players through the assembly of the sphere and the wings. The Puzzle consists of 242 jigsaw puzzle pieces which is made out of patented plastic puzzle shapes that snap together during assembly. 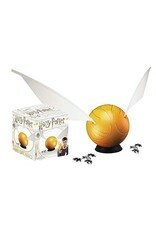 No glue is required and when completed it forms the Golden Snitch! This puzzle is very fun and a great piece to display for the Harry Potter fan. Puzzle comes with a base stand to display final assembled product. Ages 6+. The fully assembled product measures 6 " in diameter while the wings span 30" wide.